At Wilmington Friends School, arts education is central to upholding our high standards for intellectual engagement and teaching students relevant skills for the 21st century. Through eighth grade, students at Friends follow a sequential curriculum in music and visual arts, encompassing a wide range of contexts in terms of geography, culture, historical time period, and style. In the upper school, students choose from electives in visual arts, theater, and music, refining and developing their creative enthusiasms through a combination of theoretical study and practical application. The program is designed to serve all students, with advanced and major courses for the most accomplished and motivated visual and performing artists. 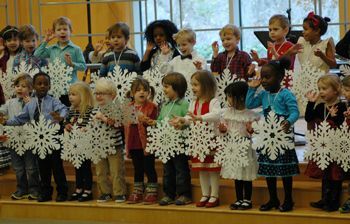 Performance opportunities begin in the preschool with concerts, continuing through upper school choirs that require audition for participation. Band is offered beginning in fourth grade and also continues through multiple ensembles in upper school. 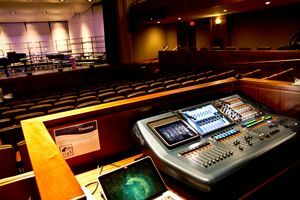 All students participate in musical productions in fifth and eighth grade, and the upper school stages a fall musical and a spring play. Additional in-school and community performance opportunities are scheduled throughout the year. A description of the arts program for each grade level is found in the curriculum guides for lower, middle, and upper school.